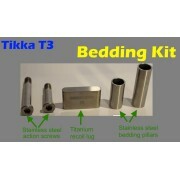 Tikka T3 and T3x Titanium Recoil Lug and Stainless Steel bedding kit This is quite simply the ch..
Tikka T3 / T3x Bolt Shroud (black color) CNC machined from high-grade aerospace Titanium Alloy Ti..
Tikka T3 / T3x Bolt Shroud (silver color) CNC machined from high-grade aerospace Titanium Alloy T..
Tikka T3 / T3x 316 Stainless Steel DBM System for Short-Action AICS Magazines This is quite simp..
Tikka T3 / T3x - left-handed version Ti6Al4V Titanium alloy handle, knob included. 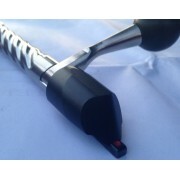 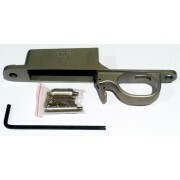 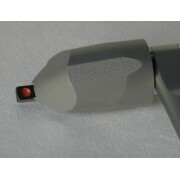 Proudly designe..
Tikka T3 / T3x - right-handed version Ti6Al4V Titanium alloy handle, knob included. 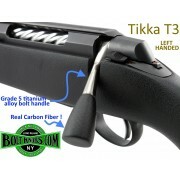 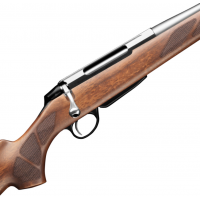 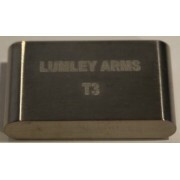 Proudly design..
Tikka T3 / T3x Precision machined, titanium recoil lug The Tikka T3 is a well made rif..